1.1 Pump, 12V Compressor - AndyMark Inc.
Look to the Viair Compressor as an appropriate replacement. 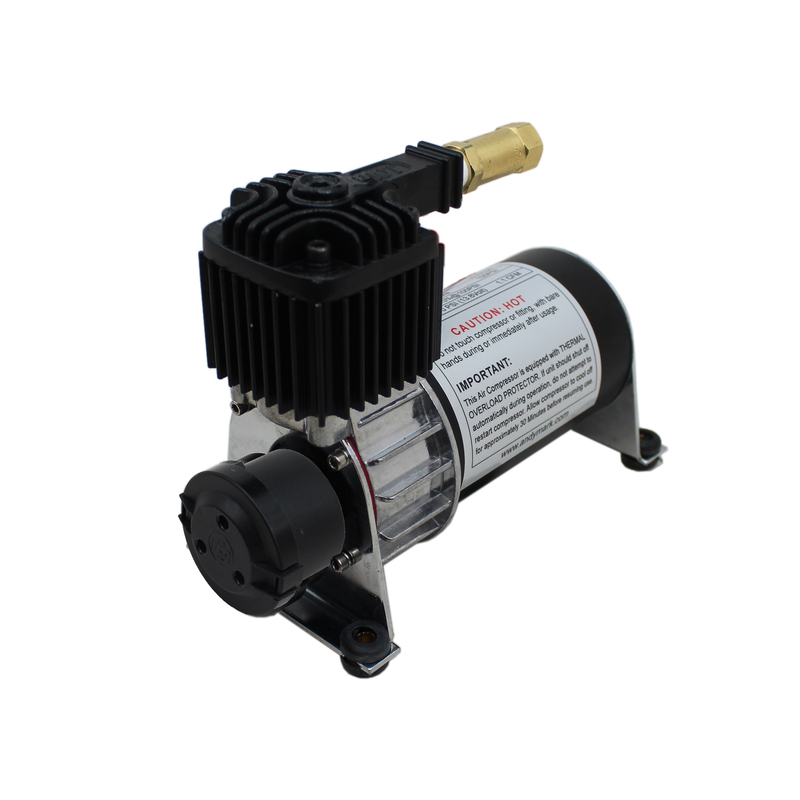 The AndyMark 1.1 Pump is an air compressor with a maximum flow rate of 1.1 CFM (cubic feet per minute). This is specified and designed to be used on medium-sized mobile robots. This compressor quickly fills on board air tanks with it's 12V motor. A check valve and plastic inlet filter are included with the 1.1 Pump. Included on the output port of this pump is a brass check valve. If the check valve is not used, the pump will draw more current upon startup and potentially cause a current overload to the PCM. Please do not remove the check valve. Some 1.1 Pumps may ship with a different filter. Different filters are functionally the same. Lighter and moves more air then the old style. The air compressor works as expected, except that the 4 foot pads are not co-planar. The compressor "rocks" on a flat surface.